We are very glad to announce that we returned from the Sganghai fair with a great success. We would like to thank to our partners to came and meet and we are fully prepared to continue in our great collaboration. We returned with many lucrative orders, excited about it and full of energy to do our best to fulfill all your wishes. Music China Fair, taking place from 8th till 11th October, belongs to the most important events of the year in the music sector. 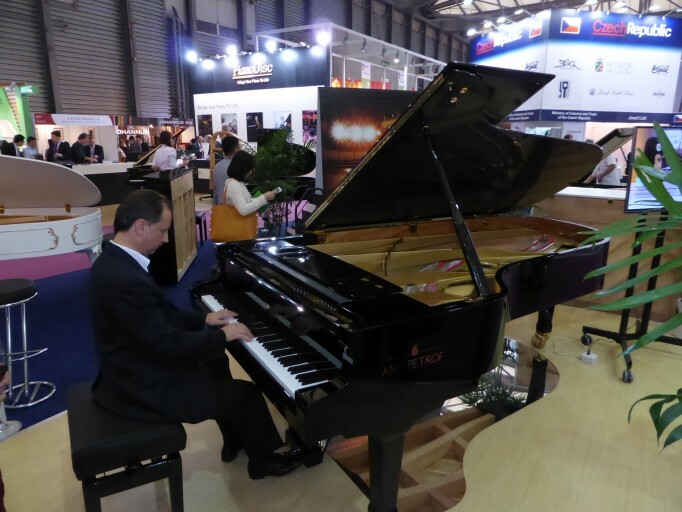 In a recently built Shanghai New International Expo Centre exhibited almost 2000 producers of musical instruments from 30 countries of the world and the estimate number of visitors is around 60 thousands. „This year we have established new important contacts and even we have made interviews for American and Chinese media,“ reveals with a smile on her face the president of PETROF company, Mgr. Zuzana Ceralová Petrofová, representing already the 5th generation at the head of this traditional pianos producer from Hradec Králové. 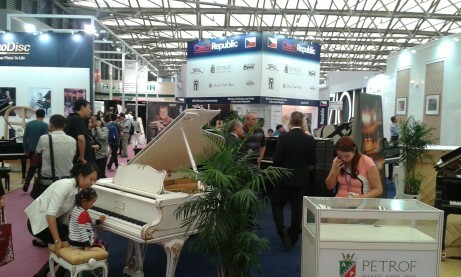 During the fair, every afternoon from 4 to 5 pm, PETROF company organized in its stand nice concerts. The grand piano of the new premium brand ANT.PETROF, introduced by the anniversary of 150 years, was played by Dr. Milan Franěk, an excellent pianist, teacher of piano players and the president of the European Association of piano teachers for the Czech republic. So the visitors and potentional customers had the pleasure of listening to the sweet tones of this noble top class concert grand.